FRIEDRICHSHAFEN, Germany -- ZF Friedrichshafen AG has developed an all-wheel-drive disconnect system that the company says can reduce fuel consumption 5 percent compared with conventional awd systems. The technology can be paired with ZF's nine-speed automatic transmission, which is designed for front-wheel-drive vehicles. According to ZF, the awd disconnect system produces comparable fuel economy to a two-wheel-drive powertrain. When awd traction isn't needed, the system disconnects the rear wheels from the drive system. Because the system engages or disengages within a few hundred milliseconds, activation of awd is nearly imperceptible. 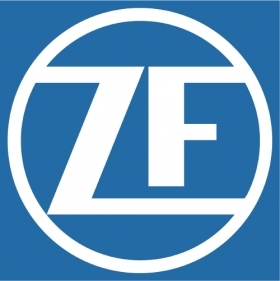 ZF, of Friedrichshafen, southern Germany, makes transmissions, chassis components, suspension parts and axles. It ranks No. 10 on the Automotive News Europe list of the top 100 global suppliers with worldwide original-equipment automotive parts sales of $11.7 billion in fiscal 2009.